This NCLEX review will discuss fundal height. In this review, I will highlight the main concepts that you will need to know about fundal height for your nursing exams and NCLEX. Therefore, as you read over this review pay special attention to the specific fundal height measurements at certain weeks of pregnancy and the anatomical location of the fundus at various weeks of pregnancy and after the delivery of the baby. What is the purpose of measuring fundal height? 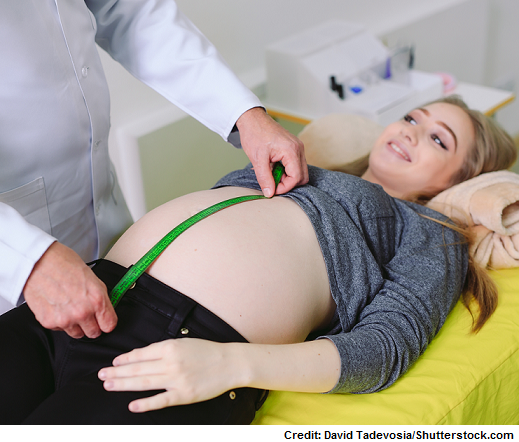 It helps assess if the baby is growing properly and helps determine the gestational age of the baby. 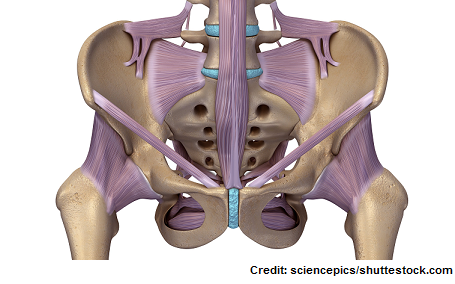 The symphysis pubis is a joint of cartilage that sits in between the pubic bones (see image below). 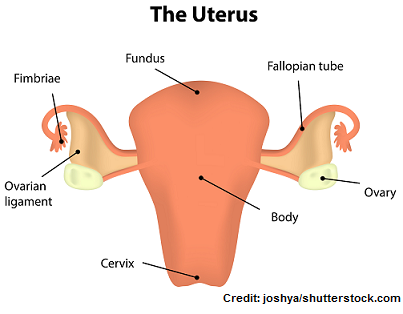 The fundus is the top part of the uterus (see image below). To measure the fundal height, which is measured in centimeters, you will take a tape measure and extend it from the symphysis pubis to the fundus of the uterus. Lay the patient down on their back. NOTE: monitor the mother for supine hypotension because she is at risk for this, especially if she is late into her pregnancy. This occurs when the baby and other structures in the uterus compress the great vessels of the heart in the supine positon (back position). This leads to the blood pressure to drop. Therefore, monitor the patient for reports of feeling dizzy, lightheaded, nauseous etc. If this occurs immediately place her on the left side. This should help alleviate signs and symptoms. Use a measuring tape and start at the symphysis pubis and extend it up to the top of the uterus. When interpreting the measurement you want the gestational age of the baby to match the location of the fundus or its measurement. After 20-36 weeks the measurement of the fundus from the symphysis pubis will actually start to match the fundal height measurement reading. plus or minus 2 cm. The fundus will be found above the symphysis pubis at 12 weeks. The fundus will be found at the belly button (umbilicus) at 20 weeks. The fundus at 36 weeks should be at the xiphoid process. Around 37-40 weeks (around delivery) the fundal height actually decreases and slightly moves down about 4 cm from the xiphoid process as the baby drops into the pelvis for birth. About 1 hour after birth the fundal height is at the belly button. The fundus will decrease by 1 cm per day and you won’t be able to palpate it by day 10-14 because it has entered back into the pelvic cavity. Therefore, 24 hours after birth the fundus should 1 cm (or one finger breadth) BELOW the belly button……48 hours it should be 2 cm below the belly button. At 7 days the fundus should be at the symphysis pubis. At 10-14 days the fundus should be back in the pelvic cavity and can’t be palpated. At 6 weeks the uterus will be back at its size before pregnancy.